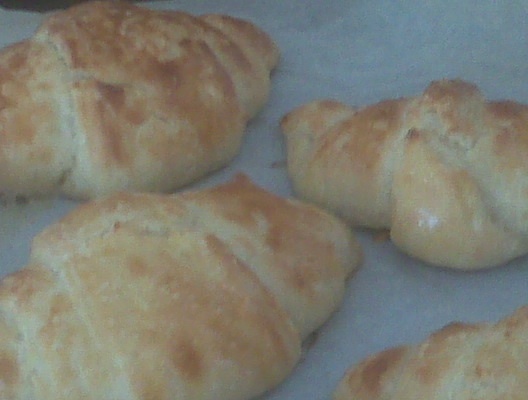 Croissants are probably the most beautiful, perfect, delightful food invented by mankind. They’re light and flakey and buttery and smell divine. They’re rather fussy to make so I’ve been, I admit, a little intimidated – after logging in hours of preparation, would if I burn them or they taste terrible? As a birthday present to myself, I made croissants. 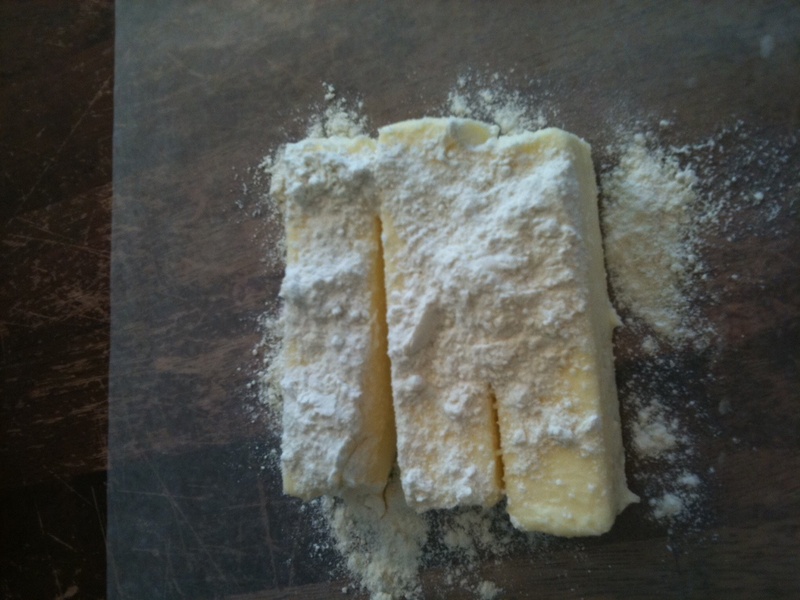 The gift was two-fold: to challenge my culinary fears and to bake something which cannot be easily replicated. The result: the heavenly smell of a French bakery and the rare experience of eating a croissant hot from the oven. Happy Birthday to ME!! 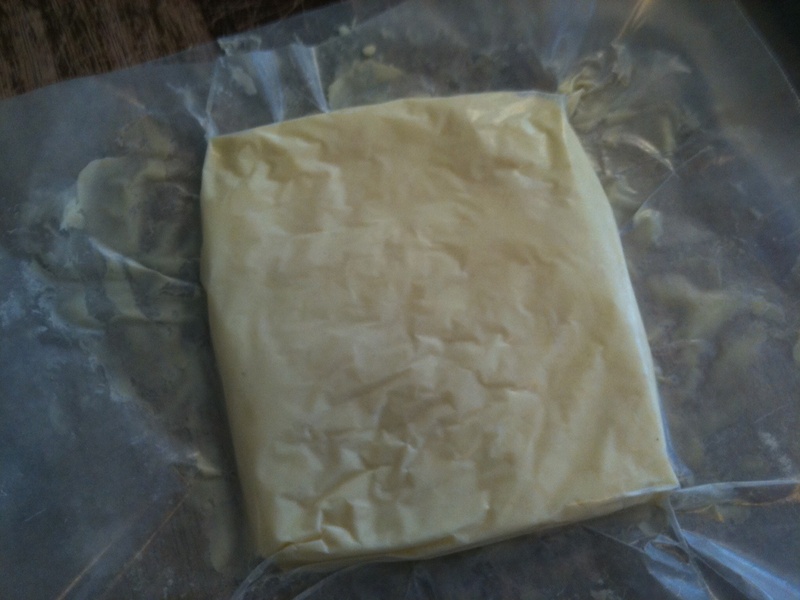 Day Two: Had to run to my parent’s (I almost, gulp, forgot about my dough…) and didn’t want all my work and, not to mention, butter to go to waste. 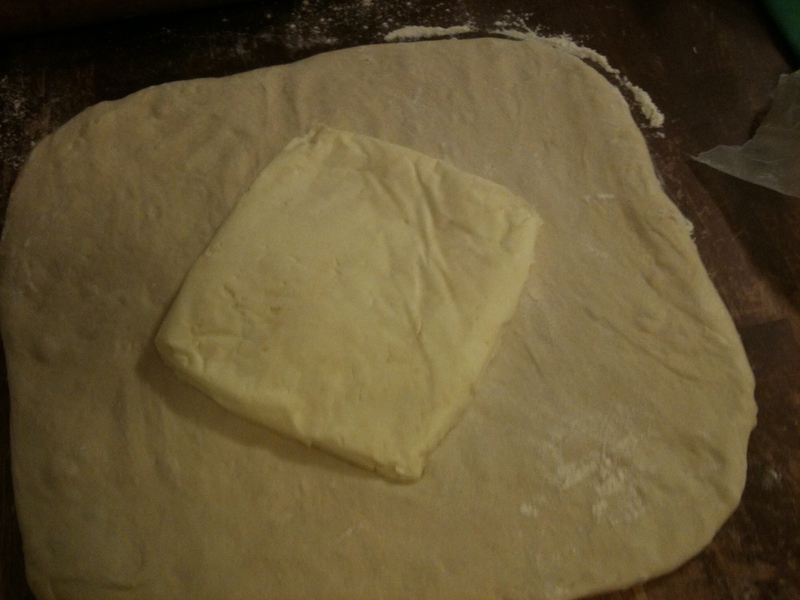 I divided the dough (froze the other half), formed the croissants, and threw them in the van. Upon arrival, I set them in a sunny spot to happily finish rising. After they were more than adequately risen, I popped them in my mother’s oven. The house soon smelled like a French Patisserie, and we devoured these little pretties fresh from the oven. And, a happy day was had by all! 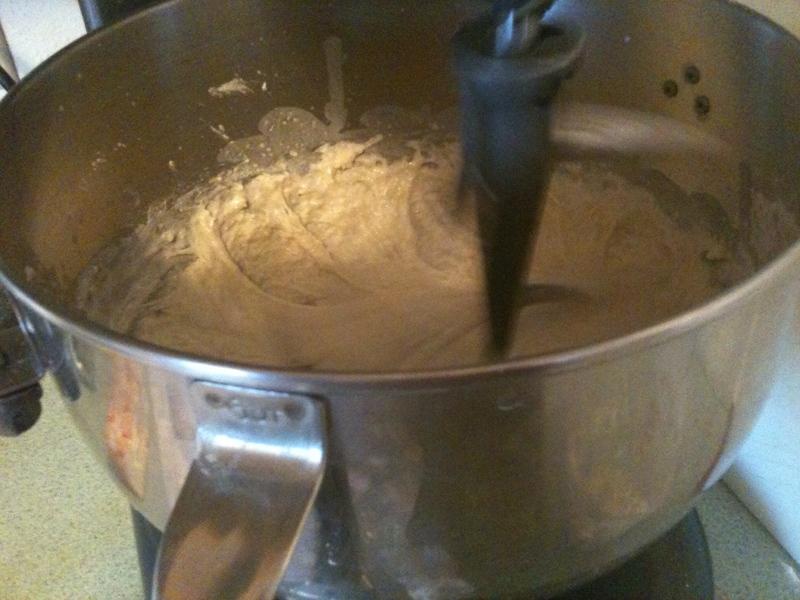 What recipe or food intrigues yet intimidates you? Give yourself a wonderful gift – just make it! Bon appetit!